Pokémon Go Bike: Central Park Sightseeing Lends a Helpful Hand in Becoming a Pokémon Master! As Summer 2016 begins to wind down, it’s clear for anyone to see that this truly was ‘The Summer of Pokémon Go.’ The augmented reality game, in which players serve as trainers, wandering their neighborhoods and surrounding areas in order to “catch ‘em all,” has been enticing children and adults alike to get out of the house and explore since its launch in early July. For the would be- Pokémasters of New York, there is no better place to battle other trainers or catch a rare Squirtle than Central Park. Late last month, there was even a (peaceful) stampede of trainers, all in pursuit of a much sought-after Vaporeon. Unfortunately, the fleet of frantic trainers were in a swarm on-foot, making it almost impossible for them to add the rare creature to their digital Pokédex. It’s too bad they didn’t take advantage of Central Park Sightseeing’s ‘Pokémon Go Bike’ promotion! With ‘Pokémon Go Bike’, all Pokémon Go enthusiasts are entitled to a free hour of biking on one of our top of the line Cannondale Bikes by showing your app in store at any of our three location (Central Park, Brooklyn Bridge, and Hudson River). 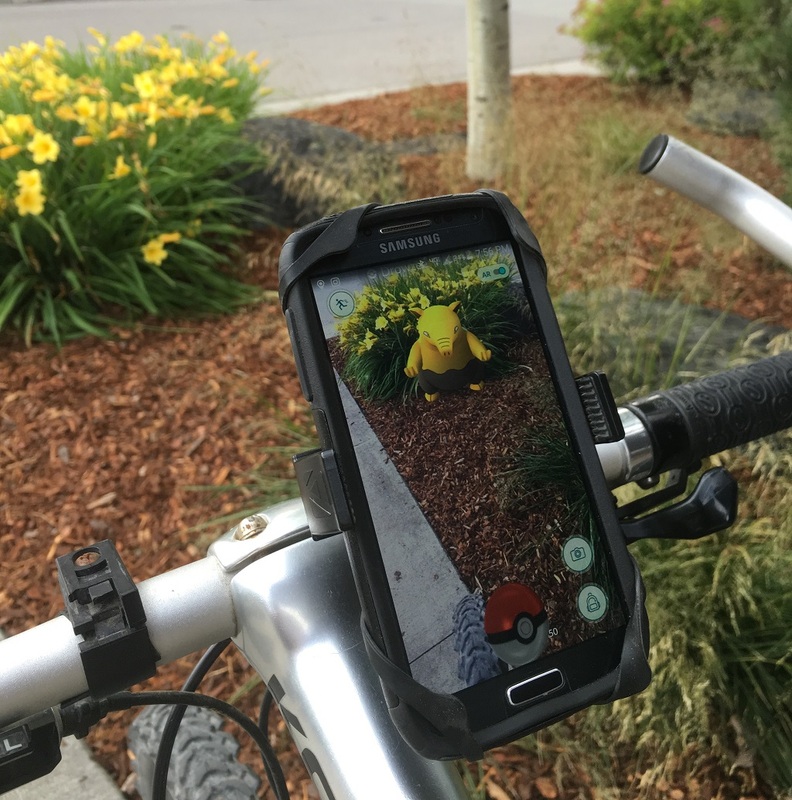 Biking is one of the best ways to catch Pokémon. You’re able to access nearby Pokéstops more quickly and beat nearby walkers to rare Pokémon on your path. Also, biking is one of the quickest ways to hatch Eggs, allowing your collection of Pokémon to grow even faster. With a bike path spanning 6.1 miles, Central Park is truly the best place in the city to become a Pokémon Master, and Central Park Sightseeing wants to help you get there even faster!